For other uses, see Capella (disambiguation). Semi-major axis (a) 0.056442 ± 0.000023"
Alhajoth, Hokulei, α Aurigae, 13 Aurigae, ADS 3841, BD+45 1077, CCDM J05168+4559, FK5 193, GC 6427, HD 34029, HIP 24608, HR 1708, IDS 05093+4554, LTT 11619, NLTT 14766, PPM 47925, SAO 40186, WDS 05167+4600. Capella /kəˈpɛlə/, also designated α Aurigae (Latinized to Alpha Aurigae, abbreviated Alpha Aur, α Aur), is the brightest star in the constellation of Auriga, the sixth-brightest star in the night sky, and the third-brightest in the northern celestial hemisphere after Arcturus and Vega. A prominent object in the northern winter sky, it is circumpolar to observers north of 44°N. Its name meaning "little goat" in Latin, Capella depicted the goat Amalthea that suckled Zeus in classical mythology. Capella is relatively close, at only 42.9 light-years (13.2 pc) from the Sun. Although it appears to be a single star to the naked eye, Capella is actually a quadruple star system organized in two binary pairs, made up of the stars Capella Aa, Capella Ab, Capella H, and Capella L.
The primary pair, Capella Aa and Capella Ab, are two bright yellow giant stars, both of which are around 2.5 times as massive as the Sun. The secondary pair, Capella H and Capella L, are around 10,000 astronomical units (AU)[note 2] from the first and are two faint, small and relatively cool red dwarfs. Capella Aa and Capella Ab have exhausted their core hydrogen, and cooled and expanded, moving off the main sequence. They are in a very tight circular orbit about 0.74 AU apart, and orbit each other every 104 days. Capella Aa is the cooler and more luminous of the two with spectral class K0III; it is 78.7 ± 4.2 times the Sun's luminosity and 11.98 ± 0.57 times its radius. An ageing red clump star, Capella Aa is fusing helium to carbon and oxygen in its core. Capella Ab is slightly smaller and hotter and of spectral class G1III; it is 72.7 ± 3.6 times as luminous as the Sun and 8.83 ± 0.33 times its radius. It is in the Hertzsprung gap, corresponding to a brief subgiant evolutionary phase as it expands and cools to become a red giant. Capella is one of the brightest X-ray sources in the sky, thought to come primarily from the corona of Capella Aa. Several other stars in the same visual field have been catalogued as companions but are physically unrelated. α Aurigae (Latinised to Alpha Aurigae) is the star system's Bayer designation. It also has the Flamsteed designation 13 Aurigae. It is listed in several multiple star catalogues as ADS 3841, CCDM J05168+4559, and WDS J05167+4600. As a relatively nearby star system, Capella is listed in the Gliese-Jahreiss Catalogue with designations GJ 194 for the bright pair of giants and GJ 195 for the faint pair of red dwarfs. The traditional name Capella is Latin for (small) female goat; the alternative name Capra was more commonly used in classical times. In 2016, the International Astronomical Union organized a Working Group on Star Names (WGSN) to catalogue and standardize proper names for stars. The WGSN's first bulletin of July 2016 included a table of the first two batches of names approved by the WGSN; which included Capella for this star. It is now so entered in the IAU Catalog of Star Names. The catalogue of star names lists Capella as applying to the star α Aurigae Aa. Capella was the brightest star in the night sky from 210,000 years ago to 160,000 years ago, at about −1.8 in apparent magnitude. At −1.1, Aldebaran was brightest before this period; it and Capella were situated rather close to each other in the sky and approximated boreal pole stars at the time. Capella is thought to be mentioned in an Akkadian inscription dating to the 20th century BC. Its goat-associated symbolism dates back to Mesopotamia as a constellation called "GAM", "Gamlum" or "MUL.GAM" in the 7th-century BC document MUL.APIN. GAM represented a scimitar or crook and may have represented the star alone or the constellation of Auriga as a whole. Later, Bedouin astronomers created constellations that were groups of animals, where each star represented one animal. The stars of Auriga comprised a herd of goats, an association also present in Greek mythology. It is sometimes called the Shepherd's Star in English literature. Capella was seen as a portent of rain in classical times. 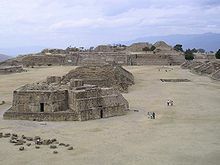 Building J of the pre-Columbian site Monte Albán in Oaxaca state in Mexico was built around 275 BC, at a different orientation to other structures in the complex. Its steps are aligned perpendicular to the rising of Capella at that time, so that a person looking out a doorway on the building would have faced it directly. Capella is significant as its heliacal rising took place within a day of the Sun passing directly overhead over Monte Albán. Professor William Wallace Campbell of the Lick Observatory announced that Capella was binary in 1899, based on spectroscopic observations—he noted on photographic plates taken from August 1896 to February 1897 that a second spectrum appeared superimposed over the first, and that there was a doppler shift to violet in September and October and to red in November and February—showing that the components were moving toward and away from the Earth (and hence orbiting each other). Almost simultaneously, British astronomer Hugh Newall had observed its composite spectrum with a four prism spectroscope attached to a 25 inches (64 cm) telescope at Cambridge in July 1899, concluding that it was a binary star system. Many observers tried to discern the component stars without success. Known as "The Interferometrist's Friend", it was first resolved interferometrically in 1919 by John Anderson and Francis Pease at Mount Wilson Observatory, who published an orbit in 1920 based on their observations. This was the first interferometric measurement of any object outside the Solar System. A high-precision orbit was published in 1994 based on observations by the Mark III Stellar Interferometer, again at Mount Wilson Observatory. Capella also became the first astronomical object to be imaged by a separate element optical interferometer when it was imaged by the Cambridge Optical Aperture Synthesis Telescope in September 1995. In 1914, Finnish astronomer Ragnar Furuhjelm observed that the spectroscopic binary had a faint companion star, which, as its proper motion was similar to that of the spectroscopic binary, was probably physically bound to it. In February 1936, Carl L. Stearns observed that this companion appeared to be double itself; this was confirmed in September that year by Gerard Kuiper. This pair are designated Capella H and L.
Two Aerobee-Hi rocket flights on September 20, 1962, and March 15, 1963, detected and confirmed an X-ray source in Auriga at RA 05h 09m Dec +45°, identified as Capella. Stellar X-ray astronomy started on April 5, 1974, with the detection of X-rays from Capella. A rocket flight on that date briefly calibrated its attitude control system when a star sensor pointed the payload axis at Capella. During this period, X-rays in the range 0.2–1.6 keV were detected by an X-ray reflector system co-aligned with the star sensor. The X-ray luminosity (Lx) of ~1024 W (1031 erg s−1) is four orders of magnitude above the Sun's X-ray luminosity. Capella's X-rays are thought to be primarily from the corona of the more massive star. Capella is ROSAT X-ray source 1RXS J051642.2+460001. The high temperature of Capella's corona as obtained from the first coronal X-ray spectrum of Capella using HEAO 1 would require magnetic confinement, unless it is a free-flowing coronal wind. With an average apparent magnitude of +0.08, Capella is the brightest object in the constellation Auriga, the sixth-brightest star in the night sky, the third-brightest in the northern celestial hemisphere (after Arcturus and Vega), and the fourth-brightest visible to the naked eye from the latitude 40°N. It appears to be a rich yellowish-white colour, although the yellow colour is more apparent during daylight observation with a telescope, due to the contrast against the blue sky. Capella is closer to the north celestial pole than any other first magnitude star. [note 3] Its northern declination is such that it is actually invisible south of latitude 44°S—this includes southernmost New Zealand, Argentina and Chile as well as the Falkland Islands. Conversely it is circumpolar north of 44°N: for the whole of the United Kingdom, Canada and the northernmost United States, the star never sets. 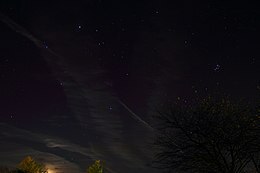 Capella and Vega are on opposite sides of the pole, at about the same distance from it, such that an imaginary line between the two stars will nearly pass through Polaris. Visible halfway between Orion's Belt and Polaris, Capella is at its highest in the night sky at midnight in early December and is regarded as a prominent star of the northern winter sky. A few degrees to the southwest of Capella lie three stars, Epsilon Aurigae, Zeta Aurigae, and Eta Aurigae, the latter two of which are known as "The Kids", or Haedi. The four form a familiar pattern, or asterism, in the sky. Based on an annual parallax shift of 76.20 milliarcseconds (with a margin of error of 0.46 milliarcseconds) as measured by the Hipparcos satellite, this system is estimated to be 42.8 light-years (13.12 parsecs) from Earth, with a margin of error of 0.3 light-years (0.09 parsecs). An alternative method to determine the distance is via the orbital parallax, which gives a distance of 42.92 light-years (13.159 parsecs) with a margin of error of only 0.1%. Capella is estimated to have been a little closer to the Solar System in the past, passing within 29 light-years distant around 237,000 years ago. At this range, it would have shone at apparent magnitude −0.82, comparable to Canopus today. In a 1960 paper, American astronomer Olin J. Eggen concluded that Capella was a member of the Hyades moving group, a group of stars moving in the same direction as the Hyades cluster, after analysing its proper motion and parallax. Members of the group are of a similar age, and those that are around 2.5 times as massive as the Sun have moved off the main sequence after exhausting their core hydrogen reserves and are expanding and cooling into red giants. There are several stars within a few arc minutes of Capella and some have been listed as companions in various multiple star catalogues. The Washington Double Star Catalog lists components A, B, C, D, E, F, G, H, I, L, M, N, O, P, Q, and R, with A being the naked-eye star. Most are only line-of-sight companions, but the close pair of red dwarfs H and L are at the same distance as the bright component A and moving through space along with it. Capella A is itself a spectroscopic binary with components Aa and Ab, both giant stars. The pair of giants is separated from the pair of red dwarfs by 723". American astronomer Robert Burnham Jr. described a scale model of the system where Capella A was represented by spheres 13 and 7 inches across, separated by ten feet. The red dwarfs were then each 0.7 inches across and they were separated by 420 feet. At this scale, the two pairs are 21 miles apart. Hertzsprung-Russell diagram showing an evolutionary track for a star of approximately the mass of the two Capella giants. The current states of Capella Aa and Ab are marked. Capella A consists of two yellow evolved stars that have been calculated to orbit each other every 104.02128 ± 0.00016 days, with a semimajor axis of 111.11 ± 0.10 million km (0.74272 ± 0.00069 au), roughly the distance between Venus and the Sun. The pair is not an eclipsing binary—that is, as seen from Earth, neither star passes in front of the other. The orbit is known extremely accurately and can be used to derive an orbital parallax with far better precision than the one measured directly. The stars are not near enough to each other for the Roche lobe of either star to have been filled and any significant mass transfer to have taken place, even during the red giant stage of the primary star. Modern convention designates the more luminous cooler star as component Aa and its spectral type has been usually measured between G2 and K0. The hotter secondary Ab has been given various spectral types of late (cooler) F or early (warmer) G. The MK spectral types of the two stars have been measured a number of times, and they are both consistently assigned a luminosity class of III indicating a giant star. The composite spectrum appears to be dominated by the primary star due to its sharper absorption lines; the lines from the secondary are broadened and blurred by its rapid rotation. The composite spectral class is given as approximately G3III, but with a specific mention of features due to a cooler component. The most recent specific published types are K0III and G1III, although older values are still widely quoted such as G5IIIe + G0III from the Bright Star Catalogue or G8III + G0III by Eggen. Where the context is clear, these two components have been referred to as A and B. The individual apparent magnitudes of the two component stars cannot be directly measured, but their relative brightness has been measured at various wavelengths. They have very nearly equal brightness in the visible light spectrum, with the hotter secondary component generally being found to be a few tenths of a magnitude brighter. A 2016 measurement gives the magnitude difference between the two stars at a wavelength of 700 nm as 0.00 ± 0.1. The physical properties of the two stars can be determined with high accuracy. The masses are derived directly from the orbital solution, with Aa being 2.5687 ± 0.0074 M☉ and Ab being 2.4828 ± 0.0067 M☉. Their angular radii have been directly measured; in combination with the very accurate distance, this gives 11.98 ± 0.57 R☉ and 8.83 ± 0.33 R☉ for Aa and Ab respectively. Their surface temperatures can be calculated by comparison of observed and synthetic spectra, direct measurement of their angular diameters and brightnesses, calibration against their observed colour indices, and disentangling of high resolution spectra. Weighted averages of these four methods give 4,970 ± 50 K for Aa and 5,730 ± 60 for Ab. Their bolometric luminosities are most accurately derived from their apparent magnitudes and bolometric corrections, but are confirmed by calculation from the temperatures and radii of the stars. Aa is 78.7 ± 4.2 times as luminous as the Sun and Ab 72.7 ± 3.6 times as luminous, so the star defined as the primary component is the more luminous when all wavelengths are considered but very slightly less bright at visual wavelengths. Estimated to be 590 to 650 million years old, the stars were probably at the hot end of spectral class A during their main sequence lifetime, similar to Vega. They have now exhausted their core hydrogen and evolved off the main sequence, their outer layers expanding and cooling. 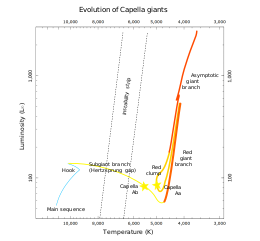 Despite the giant luminosity class, the secondary component is very clearly within the Hertzsprung gap on the Hertzsprung–Russell diagram, still expanding and cooling towards the red giant branch, making it a subgiant in evolutionary terms. The more massive primary has already passed through this stage, when it reached a maximum radius of 36 to 38 times that of the Sun. It is now a red clump star which is fusing helium to carbon and oxygen in its core, a process that has not yet begun for the less massive star. Detailed analysis shows that it is nearing the end of this stage and starting to expand again which will lead it to the asymptotic giant branch. Isotope abundances[note 4] and spin rates confirm this evolutionary difference between the two stars. Heavy element abundances are broadly comparable to those of the Sun and the overall metallicity is slightly less than the Sun's. The rotational period of each star can be measured by observing periodic variations in the doppler shifts of their spectral lines. The absolute rotational velocities of the two stars are known from their inclinations, rotation periods, and sizes, but the projected equatorial rotational velocities measured using doppler broadening of spectral lines are a standard measure and these are generally quoted. Capella Aa has a projected rotational velocity of 4.1 ± 0.4 km per second, taking 104 ± 3 days to complete one rotation, while Capella Ab spins much more rapidly at 35.0±0.5 km per second, completing a full rotation in only 8.5 ± 0.2 days. Rotational braking occurs in all stars when they expand into giants, and binary stars are also tidally braked. Capella Aa has slowed until it is rotationally locked to the orbital period, although theory predicts that it should still be rotating more quickly from a starting point of a rapidly-spinning main sequence A star. Capella has long been suspected to be slightly variable. Its amplitude of about 0.1 magnitudes means that it may at times be brighter or fainter than Rigel, Betelgeuse, and Vega, which are also variable. The system has been classified as an RS Canum Venaticorum variable, a class of binary stars with active chromospheres that cause huge starspots, but it is still only listed as a suspected variable in the General Catalogue of Variable Stars. Unusually for RS CVn systems, the hotter star, Capella Ab, has the more active atmosphere because it is located in the Hertzsprung gap—a stage where it is changing its angular momentum and deepening its convection zone. The active atmospheres and closeness of these stars means that they are among the brightest X-ray sources in the sky. However the X-ray emission is due to stable coronal structures and not eruptive flaring activity. Coronal loops larger than the Sun and with temperatures of several million K are likely to be responsible for the majority of the X-rays. The seventh companion published for Capella, component H, is physically associated with the bright primary star. It is a red dwarf separated from the pair of G-type giants by a distance of around 10,000 AU. It has its own close companion, an even fainter red dwarf that was 1.8" away when it was discovered in 1935. Eighty years later the separation had increased to 3.5", sufficient to allow tentative orbital parameters to be derived. It is component L in double star catalogues. The Gliese-Jahreiss Catalogue of nearby stars designates the binary system as GJ 195. The two components are then referred to individually as GJ 195 A and B. The two stars are reported to have a 3.5 visual magnitude difference, 2.3 mag in the passband of the Gaia spacecraft, although the difference is much smaller at infrared wavelengths. This is unexpected and may indicate further unseen companions. The mass of the stars can be determined from the orbital motion, but uncertainties in the orbit have led to widely varying results. In 1975, an eccentric 388 year orbit gave masses of 0.65 M☉ and 0.13 M☉. A smaller near-circular orbit published in 2015 had a 300-year orbit, benefitting from mass constraints of 0.57 M☉ and 0.53 M☉ respectively for GJ 195 A and B based on their infrared magnitudes. Six visual companions to Capella were discovered before Capella H and are generally known only as Capella B through G. None are thought to be physically associated with Capella although all appear closer in the sky than the HL pair. Component F is also known as TYC 3358-3142-1. It is listed with a spectral type of K although it is included in a catalogue of OB stars as a distant luminous star. Component G is BD+45 1076, with a spectral type of F0, at a distance of 401 light-years (123 parsecs). It is identified as a variable member of the Guide Star Catalogue from Chandra observations although it is not known what type of variability. It is known to be an X-ray source with an active corona. Several other stars have also been catalogued as companions to Capella. Components I, Q, and R are 13th magnitude stars at distances of 92", 133", and 134". V538 Aurigae and its close companion HD 233153 are red dwarfs ten degrees away from Capella; they have very similar space motions but the small difference makes it possible that this is just a coincidence. Two faint stars have been discovered by speckle imaging in the Capella HL field, around 10" distant from that pair. These have been catalogued as Capella O and P. It is not known whether they are physically associated with the red dwarf binary. Capella traditionally marks the left shoulder of the constellation's eponymous charioteer, or, according to the 2nd century astronomer Ptolemy's Almagest, the goat that the charioteer is carrying. In Bayer's 1603 work Uranometria, Capella marks the charioteer's back. The three Haedi had been identified as a separate constellation by Pliny the Elder and Manilius, and were called Capra, Caper, or Hircus, all of which relate to its status as the "goat star". Ptolemy merged the Charioteer and the Goats in the 2nd century Almagest. In Greek mythology, the star represented the goat Amalthea that suckled Zeus. It was this goat whose horn, after accidentally being broken off by Zeus, was transformed into the Cornucopia, or "horn of plenty", which would be filled with whatever its owner desired. Though most often associated with Amalthea, Capella has sometimes been associated with Amalthea's owner, a nymph. The myth of the nymph says that the goat's hideous appearance, resembling a Gorgon, was partially responsible for the Titans' defeat, after Zeus skinned the goat and wore it as his aegis. In medieval accounts, it bore the uncommon name Alhajoth (also spelled Alhaior, Althaiot, Alhaiset, Alhatod, Alhojet, Alanac, Alanat, Alioc), which (especially the last) may be a corruption of its Arabic name, العيوق, al-cayyūq. cAyyūq has no clear significance in Arabic, but may be an Arabized form of the Greek αίξ aiks "goat"; cf. the modern Greek Αίγα Aiga, the feminine of goat. To the Bedouin of the Negev and Sinai, Capella al-'Ayyūq ath-Thurayyā "Capella of the Pleiades", from its role as pointing out the position of that asterism. Another name in Arabic was Al-Rākib "the driver", a translation of the Greek. To the ancient Balts, Capella was known as Perkūno Ožka "Thunder's Goat", or Tikutis. Conversely in Slavic Macedonian folklore, Capella was Jastreb "the hawk", flying high above and ready to pounce on Mother Hen (the Pleiades) and the Rooster (Nath). Astrologically, Capella portends civic and military honors and wealth. In the Middle Ages, it was considered a Behenian fixed star, with the stone sapphire and the plants horehound, mint, mugwort, and mandrake as attributes. Cornelius Agrippa listed its kabbalistic sign with the name Hircus (Latin for goat). In Hindu mythology, Capella was seen as the heart of Brahma, Brahma Hṛdaya. In traditional Chinese astronomy, Capella was part of the asterism 五車 (Wŭ chē; English: Five Chariots), which consisted of Capella together with Beta Aurigae, Theta Aurigae, and Iota Aurigae, as well as Beta Tauri. Since it was the second star in this asterism, it has the Chinese name 五車二 (Wŭ chē èr; English: Second of the Five Chariots). In Quechua it was known as Colça; the Incas held the star in high regard. The Hawaiians saw Capella as part of an asterism Ke ka o Makali'i ("The canoe bailer of Makali'i") that helped them navigate at sea. Called Hoku-lei "star wreath", it formed this asterism with Procyon, Sirius, Castor and Pollux. In Tahitian folklore, Capella was Tahi-ari'i, the wife of Fa'a-nui (Auriga) and mother of prince Ta'urua (Venus) who sails his canoe across the sky. In Inuit astronomy, Capella, along with Menkalinan (Beta Aurigae), Pollux (Beta Geminorum) and Castor (Alpha Geminorum), formed a constellation Quturjuuk, "collar-bones", the two pairs of stars denoting a bone each. Used for navigation and time-keeping at night, the constellation was recognised from Alaska to western Greenland. The Gwich'in saw Capella and Menkalinan has forming shreets'ą įį vidzee, the right ear of the large circumpolar constellation Yahdii, which covered much of the night sky, and whose orientation facilitated navigation and timekeeping. In Australian Aboriginal mythology for the Boorong people of Victoria, Capella was Purra, the kangaroo, pursued and killed by the nearby Gemini twins, Yurree (Castor) and Wanjel (Pollux). The Wardaman people of northern Australia knew the star as Yagalal, a ceremonial fish scale, related to Guwamba the barramundi (Aldebaran). "Friday's Child" a 1967 episode of Star Trek: The Original Series written by D.C. Fontana is set on the fictional planet Capella IV. Dr McCoy reports having lived on the planet and being familiar with its culture. The highly regarded 1972 novel The Listeners involves a SETI-like program on Earth in communication with an alien civilization in the Capella system. ^ Polaris is only second magnitude. ^ The lithium abundance, C12/C13 ratio and C/N ratio have all declined in Capella Aa but not in Capella Ab. ^ a b c d e f van Leeuwen, F. (November 2007). "Validation of the new Hipparcos reduction". Astronomy and Astrophysics. 474 (2): 653–64. arXiv:0708.1752. Bibcode:2007A&A...474..653V. doi:10.1051/0004-6361:20078357. ^ a b c d e f g h Hoffleit, Dorrit; Jaschek, Carlos (1991). "The Bright star catalogue". New Haven, Conn.: Yale University Observatory, 5th Rev.ed. Bibcode:1991bsc..book.....H.
^ Petit, M. (1990). "Catalogue of Variable or Suspected Stars Nearby the Sun". Astronomy and Astrophysics Supplement. 85: 971. Bibcode:1990A&AS...85..971P. ^ a b Roeser, S.; Bastian, U. (1988). "A new star catalogue of SAO type". Astronomy and Astrophysics Supplement Series. 74: 449. Bibcode:1988A&AS...74..449R. ISSN 0365-0138. ^ Eggen, Olin J. (1963). "Three-color photometry of the components in 228 wide double and multiple systems". Astronomical Journal. 68: 483. Bibcode:1963AJ.....68..483E. doi:10.1086/109000. ^ a b Cutri, R. M.; Skrutskie, M. F.; Van Dyk, S.; Beichman, C. A.; Carpenter, J. M.; Chester, T.; Cambresy, L.; Evans, T.; Fowler, J.; Gizis, J.; Howard, E.; Huchra, J.; Jarrett, T.; Kopan, E. L.; Kirkpatrick, J. D.; Light, R. M.; Marsh, K. A.; McCallon, H.; Schneider, S.; Stiening, R.; Sykes, M.; Weinberg, M.; Wheaton, W. A.; Wheelock, S.; Zacarias, N. (2003). "VizieR Online Data Catalog: 2MASS All-Sky Catalog of Point Sources (Cutri+ 2003)". VizieR On-line Data Catalog: II/246. Originally Published In: 2003yCat.2246....0C. 2246: II/246. Bibcode:2003yCat.2246....0C. ^ Agrawal, P. C.; Rao, A. R.; Sreekantan, B. V. (1986). "Study of quiescent state X-ray emission from flare stars". Monthly Notices of the Royal Astronomical Society. 219 (2): 225. Bibcode:1986MNRAS.219..225A. doi:10.1093/mnras/219.2.225. ISSN 0035-8711. ^ a b Keenan, Philip C; McNeil, Raymond C (1989). "The Perkins Catalog of Revised MK Types for the Cooler Stars". The Astrophysical Journal Supplement Series. 71: 245. Bibcode:1989ApJS...71..245K. doi:10.1086/191373. ^ a b Audard, M (2002). Investigations of stellar coronae with XMM-Newton. 34th COSPAR Scientific Assembly. 34. Bibcode:2002cosp...34E1599A. ^ a b Samus, N. N.; Durlevich, O. V.; et al. (2009). "VizieR Online Data Catalog: General Catalogue of Variable Stars (Samus+ 2007–2013)". VizieR On-line Data Catalog: B/gcvs. Originally Published In: 2009yCat....102025S. 1: B/gcvs. Bibcode:2009yCat....102025S. ^ a b c Strassmeier, K. G.; Fekel, F. C. (1990). "The spectral classification of chromospherically active binary stars with composite spectra". Astronomy and Astrophysics. 230: 389. Bibcode:1990A&A...230..389S. ^ Joy, Alfred H.; Abt, Helmut A. (1974). "Spectral Types of M Dwarf Stars". Astrophysical Journal Supplement. 28: 1. Bibcode:1974ApJS...28....1J. doi:10.1086/190307. ^ a b c d GJ 195, catalog entry, Preliminary Version of the Third Catalogue of Nearby Stars, Gliese, Wilhelm; Jahreiss, H. 1991, CDS ID V/70A. ^ a b Stauffer, J. R.; Hartmann, L. W. (1986). "Chromospheric activity, kinematics, and metallicities of nearby M dwarfs". The Astrophysical Journal Supplement Series. 61: 531. Bibcode:1986ApJS...61..531S. doi:10.1086/191123. ; see Table 1. ^ Bidelman, W. P. (1985). "G. P. Kuiper's spectral classifications of proper-motion stars". Astrophysical Journal Supplement Series. 59: 197. Bibcode:1985ApJS...59..197B. doi:10.1086/191069. ISSN 0067-0049. ^ a b c d e f g h i j k l m n o p q r s t Torres, Guillermo; Claret, Antonio; Pavlovski, Krešimir; Dotter, Aaron (2015). "Capella (α Aurigae) Revisited: New Binary Orbit, Physical Properties, and Evolutionary State". The Astrophysical Journal. 807 (1): 26. arXiv:1505.07461. Bibcode:2015ApJ...807...26T. doi:10.1088/0004-637X/807/1/26. ^ a b c d e Leggett, S. K.; Allard, F.; Berriman, Graham; Dahn, Conard C.; Hauschildt, Peter H. (1996). "Infrared Spectra of Low-Mass Stars: Toward a Temperature Scale for Red Dwarfs". The Astrophysical Journal Supplement Series. 104: 117. Bibcode:1996ApJS..104..117L. doi:10.1086/192295. ; see Tables 3, 6 and 7. ^ Johnson, H.M. (1983). "Origins and ages of X-ray-luminous dwarf M stars". Astrophysical Journal. 273: 702. Bibcode:1983ApJ...273..702J. doi:10.1086/161405. ^ a b Fischer, Debra A.; Marcy, Geoffrey W. (1992). "Multiplicity among M dwarfs". The Astrophysical Journal. 396: 178. Bibcode:1992ApJ...396..178F. doi:10.1086/171708. ; see Table 1. ^ NAME CAPELLA – Variable of RS CVn type, database entry, SIMBAD. Accessed online December 23, 2008. ^ a b Brosch 2008, p. 46. ^ a b c Entry 05167+4600, The Washington Double Star Catalog, United States Naval Observatory. Accessed on line December 24, 2008. ^ G 96-29 – High proper-motion Star, database entry, SIMBAD. Accessed online December 23, 2008. ^ NAME CAPELLA L – Star in double system, database entry, SIMBAD. Accessed online December 23, 2008. ^ Kunitzsch, Paul; Smart, Tim (2006). A Dictionary of Modern star Names: A Short Guide to 254 Star Names and Their Derivations (2nd rev. ed.). Sky Pub. p. 19. ISBN 978-1-931559-44-7. ^ Mamajek, Eric; García, Beatriz; Hamacher, Duane; Montmerle, Thierry; Pasachoff, Jay; Ridpath, Ian; Sun, Xiaochun; van Gent, Robert (2016). "IAU Working Group on Star Names (WGSN)". Retrieved 22 May 2016. ^ Mamajek, Eric; García, Beatriz; Hamacher, Duane; Montmerle, Thierry; Pasachoff, Jay; Ridpath, Ian; Sun, Xiaochun; van Gent, Robert. "Bulletin of the IAU Working Group on Star Names, No. 1" (PDF). Retrieved 28 July 2016. ^ Mamajek, Eric; García, Beatriz; Hamacher, Duane; Montmerle, Thierry; Pasachoff, Jay; Ridpath, Ian; Sun, Xiaochun; van Gent, Robert (July 2016). "IAU Catalog of Star Names". Retrieved 28 July 2016. ^ Schaaf 2008, p. 155. ^ a b Schaaf 2008, p. 152. ^ a b c d Allen 2013, p. 88. ^ a b Allen 2013, p. 86. ^ Campbell, William Wallace (October 1899). "The Spectroscopic Binary Capella". Astrophysical Journal. 10: 177. Bibcode:1899ApJ....10..177C. doi:10.1086/140625. ^ Newall, Hugh Frank (December 1899). "Variable Velocities of Stars in the Line of Sight". The Observatory. 22: 436–37. Bibcode:1899Obs....22..436N. ^ Newall, Hugh Frank (March 1900). "The Binary System of Capella". Monthly Notices of the Royal Astronomical Society. 60 (6): 418–20. Bibcode:1900MNRAS..60..418N. doi:10.1093/mnras/60.6.418. ^ a b c d Torres, Guillermo; Claret, Antonio; Young, Patrick A. (2009). "Binary Orbit, Physical Properties, and Evolutionary State of Capella (α Aurigae)" (PDF). The Astrophysical Journal. 700 (2): 1349–81. arXiv:0906.0977. Bibcode:2009ApJ...700.1349T. doi:10.1088/0004-637X/700/2/1349. ^ Mason, B. (August 22–25, 2006). "Classical Observations of Visual Binary and Multiple Stars". In William I. Hartkopf; Edward F. Guinan; Petr Harmanec (eds.). Binary Stars as Critical Tools and Tests in Contemporary Astrophysics, Proceedings of the 240th Symposium of the International Astronomical Union, Held in Prague, Czech Republic. Proceedings of the International Astronomical Union. 2. pp. 88–96 . doi:10.1017/S1743921307003857. ISBN 978-0-521-86348-3. ^ Anderson, John A. (1920). "Application of Michelson's Interferometer Method to the Measurement of Close Double Stars". Astrophysical Journal. 51: 263–75. Bibcode:1920ApJ....51..263A. doi:10.1086/142551. ^ Tubbs, Bob (April 1997). "Modern Optical Interferometry". Archived from the original on 2017-04-20. Retrieved 19 April 2017. ^ Hummel, C. A.; Armstrong, J. T.; Quirrenbach, A.; Buscher, D. F.; Mozurkewich, D.; Elias, N. M., II; Wilson, R. E. (1994). "Very high precision orbit of Capella by long baseline interferometry". The Astronomical Journal. 107: 1859. Bibcode:1994AJ....107.1859H. doi:10.1086/116995. See §1 for spectral types, Table 1 for orbit, Table 5 for stellar parameters, and §6.3 for the age of the system. ^ Baldwin, J. E.; Beckett, M. G.; Boysen, R. C.; Burns, D.; Buscher, D. F.; Cox, G. C.; Haniff, C. A.; Mackay, C. D.; Nightingale, N. S.; Rogers, J.; Scheuer, P. A. G.; Scott, T. R.; Tuthill, P. G.; Warner, P. J.; Wilson, D. M. A.; Wilson, R. W. (1996). "The first images from an optical aperture synthesis array: mapping of Capella with COAST at two epochs". Astronomy and Astrophysics. 306: L13–L16. Bibcode:1996A&A...306L..13B. .
^ Furuhjelm, Ragnar (April 1914). "Ein schwacher Begleiter zu Capella". Astronomische Nachrichten (in German). 197 (11): 181–82. Bibcode:1914AN....197..181F. doi:10.1002/asna.19141971103. 4715. ^ Stearns, Carl L. (July 1936). "Note on duplicity of Capella H". Astronomical Journal. 45 (1048): 120. Bibcode:1936AJ.....45..120S. doi:10.1086/105349. .
^ Kuiper, Gerard P. (October 1936). "Confirmation of the Duplicity of Capella H". Astrophysical Journal. 84: 359. Bibcode:1936ApJ....84Q.359K. doi:10.1086/143788. ^ Fisher, Philip C.; Meyerott, Arthur J. (1964). "Stellar X-Ray Emission". Astrophysical Journal. 139 (1): 123–42. Bibcode:1964ApJ...139..123F. doi:10.1086/147742. ^ a b c Catura, R. C.; Acton, L. W.; Johnson, H. M. (1975). "Evidence for X-ray emission from Capella". Astrophysical Journal. 196 (pt.2): L47–49. Bibcode:1975ApJ...196L..47C. doi:10.1086/181741. ^ Ishibashi, Kazunori; Dewey, Daniel; Huenemoerder, David P.; Testa, Paola (2006). "Chandra/HETGS Observations of the Capella System: The Primary as a Dominating X-Ray Source". The Astrophysical Journal. 644 (2): L117–20. arXiv:astro-ph/0605383. Bibcode:2006ApJ...644L.117I. doi:10.1086/505702. ^ Güdel, Manuel (2004). "X-ray astronomy of stellar coronae". The Astronomy and Astrophysics Review. 12 (2–3): 71–237. arXiv:astro-ph/0406661. Bibcode:2004A&ARv..12...71G. doi:10.1007/s00159-004-0023-2. ^ Burnham 1978, p. 261. ^ Arnold, H. P. (1999). The Photographic Atlas of the Stars. IOP Publishing Ltd. p. 68. ISBN 978-0-7503-0654-6. ^ Ball, Robert (2014) . A Primer of Astronomy. Cambridge University Press. pp. 194–95. ISBN 978-1-107-42743-3. ^ Ridpath & Tirion 2001, pp. 86–88. ^ Bailer-Jones, C. A. L. (2015). "Close encounters of the stellar kind". Astronomy & Astrophysics. 575: 13. arXiv:1412.3648. Bibcode:2015A&A...575A..35B. doi:10.1051/0004-6361/201425221. A35. ^ a b Eggen, Olin J. (1960). "Stellar Groups, VII. The Structure of the Hyades Group". Monthly Notices of the Royal Astronomical Society. 120 (6): 540–62. Bibcode:1960MNRAS.120..540E. doi:10.1093/mnras/120.6.540. ^ Schaaf 2008, p. 154. ^ a b Ayres, Thomas R. (1984). "Capella HL". Cool Stars, Stellar Systems, and the Sun. Cool Stars. Lecture Notes in Physics. 193. p. 202. Bibcode:1984LNP...193..202A. doi:10.1007/3-540-12907-3_204. ISBN 978-3-540-12907-3. ^ a b Burnham 1978, p. 264. ^ Skiff, Brian A. (2014). "VizieR Online Data Catalog: Catalogue of Stellar Spectral Classifications (Skiff, 2009–2016)". VizieR On-line Data Catalog: B/mk. Originally Published In: Lowell Observatory (October 2014). 1: B/mk. Bibcode:2014yCat....1.2023S. ^ a b Weber, M.; Strassmeier, K. G. (2011). "The Spectroscopic Orbit of Capella Revisited". Astronomy & Astrophysics. 531: id.A89 (5 pp.). arXiv:1104.0342. Bibcode:2011A&A...531A..89W. doi:10.1051/0004-6361/201116885. ^ Hutter, D. J.; Zavala, R. T.; Tycner, C.; Benson, J. A.; Hummel, C. A.; Sanborn, J.; Franz, O. G.; Johnston, K. J. (2016). "Surveying the Bright Stars by Optical Interferometry. I. A Search for Multiplicity among Stars of Spectral Types F–K". The Astrophysical Journal Supplement Series. 227 (1): 4. arXiv:1609.05254. Bibcode:2016ApJS..227....4H. doi:10.3847/0067-0049/227/1/4. ^ Schaaf 2008, pp. 153–55. ^ Argiroffi, C.; Maggio, A.; Peres, G. (2003). "On coronal structures and their variability in active stars: The case of Capella observed with Chandra/LETGS". Astronomy and Astrophysics. 404 (3): 1033. Bibcode:2003A&A...404.1033A. doi:10.1051/0004-6361:20030497. ^ a b Heintz, W.D. (1975). "Parallax and motions of the Capella system". The Astrophysical Journal. 195: 411. Bibcode:1975ApJ...195..411H. doi:10.1086/153340. ^ a b Heckmann, O. (1975). "AGK 3. Star catalogue of positions and proper motions north of −2.5 deg. Declination". Hamburg-Bergedorf: Hamburger Sternwarte. Bibcode:1975ascp.book.....H.
^ Gontcharov, G. A. (2012). "Spatial distribution and kinematics of OB stars". Astronomy Letters. 38 (11): 694–706. arXiv:1606.09028. Bibcode:2012AstL...38..694G. doi:10.1134/S1063773712110035. ^ a b Hoffman, John; Günther, Hans M.; Wright, Nicholas J. (2012). "Constraints on the Ubiquity of Coronal X-Ray Cycles". The Astrophysical Journal. 759 (2): 145. arXiv:1209.5101. Bibcode:2012ApJ...759..145H. doi:10.1088/0004-637X/759/2/145. ^ Nichols, Joy S.; Henden, Arne A.; Huenemoerder, David P.; Lauer, Jennifer L.; Martin, Eric; Morgan, Douglas L.; Sundheim, Beth A. (2010). "The Chandra Variable Guide Star Catalog". The Astrophysical Journal Supplement. 188 (2): 473. Bibcode:2010ApJS..188..473N. doi:10.1088/0067-0049/188/2/473. ^ Schlimmer, J. (2010). "Double Star Measurements Using a Webcam, Annual Report of 2009". Journal of Double Star Observations. 6 (3): 197. Bibcode:2010JDSO....6..197S. ^ Shaya, Ed J.; Olling, Rob P. (2011). "Very Wide Binaries and Other Comoving Stellar Companions: A Bayesian Analysis of the Hipparcos Catalogue". The Astrophysical Journal Supplement. 192 (1): 2. arXiv:1007.0425. Bibcode:2011ApJS..192....2S. doi:10.1088/0067-0049/192/1/2. ^ Hełminiak, K. G.; Konacki, M.; Kulkarni, S. R.; Eisner, J. (2009). "Precision astrometry of a sample of speckle binaries and multiples with the adaptive optics facilities at the Hale and Keck II telescopes". Monthly Notices of the Royal Astronomical Society. 400 (1): 406–421. arXiv:0908.3468. Bibcode:2009MNRAS.400..406H. doi:10.1111/j.1365-2966.2009.15495.x. ^ Wagman, Morton (2003). Lost Stars: Lost, Missing and Troublesome Stars from the Catalogues of Johannes Bayer, Nicholas Louis de Lacaille, John Flamsteed, and Sundry Others. The McDonald & Woodward Publishing Company. p. 503. ISBN 978-0-939923-78-6. ^ Winterburn 2009, p. 131. ^ Ridpath, Ian. "Auriga". Star Tales. self-published. Retrieved 4 March 2014. ^ a b c Allen 2013, p. 87. ^ Bailey, Clinton (1974). "Bedouin Star-Lore in Sinai and the Negev". Bulletin of the School of Oriental and African Studies, University of London. 37 (3): 580–96. doi:10.1017/s0041977x00127491. JSTOR 613801. ^ Straižys, V.; Klimka, L. (1997). "The Cosmology of the Ancient Balts". Journal for the History of Astronomy, Archaeoastronomy Supplement. 28 (22): S57. Bibcode:1997JHAS...28...57S. doi:10.1177/002182869702802207. ^ Henry Cornelius Agrippa (1651). The Philosophy of Natural Magic. Translated by J. F. Library of Alexandria. p. 29. ISBN 978-1-4655-7650-7. ^ Heinrich Cornelius Agrippa von Nettesheim (1967) . De Occulta Philosophia (in Latin). Reichl Verlag. p. 17. ISBN 978-3-87667-021-8. ^ "AEEA 天文教育資訊網, Activities of Exhibition and Education in Astronomy" (in Chinese). National Museum of Natural Science, Taiwan. Retrieved 31 December 2008. ^ Kelley, David H.; Milone, E. F.; Aveni, Anthony F. (2005). Exploring Ancient Skies: An Encyclopedic Survey of Archaeoastronomy. Birkhäuser. p. 322. ISBN 978-0-387-95310-6. ^ "香港太空 館 – 研究資源 – 亮星中英對照表 (Chinese/English Star names)" (in Chinese). Hong Kong Space Museum. Archived from the original on 29 September 2009. Retrieved 31 December 2008. ^ Antoniadi, E.M. (1942). "L'Astronomie des Incas et des Anciens Peruviens". L'Astronomie (in French). 56: 137–39. Bibcode:1942LAstr..56..137A. ^ MacDonald, John (1998). The Arctic Sky: Inuit Astronomy, Star Lore, and Legend. Royal Ontario Museum/Nunavut Research Institute. pp. 65–67. ISBN 978-0-88854-427-8. ^ Cannon, Chris; Holton, Gary (2014). "A newly documented whole-sky circumpolar constellation in Alaskan Gwich'in". Arctic Anthropology. 51 (2): 1–8. doi:10.3368/aa.51.2.1. ^ Stanbridge, William Edward (1857). "On the astronomy and mythology of the Aborigines of Victoria". Proceedings of the Philosophical Institute of Victoria. 2: 140. Bibcode:1857PPIVT...2..137S. ^ Harney, Bill Yidumduma; Cairns, Hugh C. (2004) . Dark Sparklers (Revised ed.). Hugh C. Cairns. pp. 204–05. ISBN 978-0-9750908-0-0. ^ Schaaf 2008, p. 153. ^ Telotte, J. P. (2008). The Essential Science Fiction Television Reader. University Press of Kentucky. p. 202. ISBN 978-0-8131-2492-6. ^ "Writers and Scientists Name Science Fiction Books That Should Be Called Classics". The Washington Post. 1 November 2010. ^ Page, Michael R. (2017). Saving the World Through Science Fiction: James Gunn, Writer, Teacher and Scholar. McFarland. p. 191. ISBN 978-1-4766-6309-8. Allen, Richard Hinckley (2013) . Star Names: Their Lore and Meaning (Reprint ed.). Courier Corporation. ISBN 978-0-486-13766-7. Burnham, Robert Jr. (1978). Burnham's Celestial Handbook: An Observer's Guide to the Universe Beyond the Solar System, Volume One: Andromeda-Cetus (Revised & Enlarged ed.). Dover Publications. ISBN 978-0-486-23567-7. Brosch, Noah (2008). Sirius Matters. Springer Science & Business Media. ISBN 978-1-4020-8319-8. Schaaf, Fred (2008). The Brightest Stars: Discovering the Universe through the Sky's Most Brilliant Stars. Wiley. ISBN 978-0-470-24917-8. This page was last edited on 20 April 2019, at 01:16 (UTC).